Pier-Tech, Inc. is a US based manufacturing company. The company was established for the purpose of making fixed and portable Piers that can accept astronomical German Equatorial or Fork Mounts or other instruments. In time they expanded their production to develop astronomical observatories with slide-off roof, and most recently in 2008 they expanded production to include observatory domes for use by professional and home astronomical observatories, and planetaria constructed of galvanized steel in diameters from 8 feet (2.4m) up to 30 foot 6 inches (9.3 meters)! So by 2008 Pier-Tech was offering almost everything that an amateur or professional astronomer could want to house their telescope or other project. Right:Tele-Station 2 observatory with roof open. Note telescope and mount atop Pier-Tech 3 elevating pier extended. The Pier-Tech roll-off roof panel is supported atop the metal structure with no need for outriggers or unsightly and space wasting exterior support tracks and frames. See the video at right to understand how unobtrusive this arrangement can be. The Pier-Tech roll-off roof can be supplied either atop a square or rectangular metal support structure to be delivered complete and operate standalone, or the roll-off roof may be purchased separately and installed atop an existing or custom made structure. The Pier-Tech Domes provide shelter from winds, ambient lighting, and dew. They assure privacy and can bring that emotional satisfaction that only comes when standing in the presence of a traditional observatory dome. Pier-Tech has developed a comprehensive array of systems and accessories for their observatories providing: manual or motorized operation, automation for local or remote control, wired or wireless, and even Solar Panels for remote installations or simply for those who wish to make an environmental statement. For example, their Advanced Observatory Control Software and Hardware in particular is a very well thought out solution. Pier-Tech has developed a comprehensive solution not only of observatories but also offers portable or installed fixed-height piers and motorized elevating piers. Elevating piers can be controlled remotely by the Auto-Pier Telescope Pier Control Software and Hardware. However Pier-Tech products are purchased from Company Seven, they are engineered and provided in largely assembled form and with good documentation so that installation and set up will go smoothly - even for the mere mortal. Company Seven's staff can be your complete source of Pier-tech products information, sales, installation and service (for items sold by us). Company Seven's team has learned much about building Observatories (including those by Pier-Tech) by doing, and so we can help the construction by you or your contractor go even faster and better or we can build it for you. We will provide as much support as you prefer: consulting and sales, facility preparation (foundation work, utilties, permits), construction and assembly, systems integration, and operator training. Right: Click on image to see the streaming video of the amazing Tele-Station 2 Observatory with Pier-Tech 2 elevating Pier. Video will download in Apple Quicktime format. The one minute presentation amounts to 31,166,260 bytes. Company Seven became convinced this product line had evolved to provide such a comprehensive solution for our customers. When one of our customers in Maryland took our advice to consider a Pier-Tech observatory and pier, the customer asked us to provide a 'turn key' solution: the telescope with mount atop a Pier-Tech 2 Pier, all within a Pier-Tech Tele-Station 2 observatory. And so beginning in July 2008 among their best endorsements is the fact that Company Seven, one of the most accomplished remaining specialty astronomical instruments companies, saw fit to make these products available and with our services too! We invite you to contact Company Seven to learn what we and our Pier-Tech products can do to make your observing sessions more frequent and more rewarding. 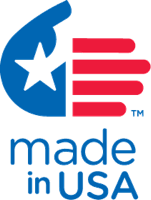 Pier-Tech Products Are Made In The USA: this original and innovative product line is completely designed and all mechanical components are fully made in the USA. We look forward to even more innovations as this line continues to develop.